I really enjoy the ease of this app. I’m the nerd of the team and for me, this app does exactly what I need it to do. Simple, yet powerful. Thanks for a creating this much needed tool. The app needs to be updated/bugs fixed. I’ve had the app for over a year but barely used it due to bug issues, crashes, etc. 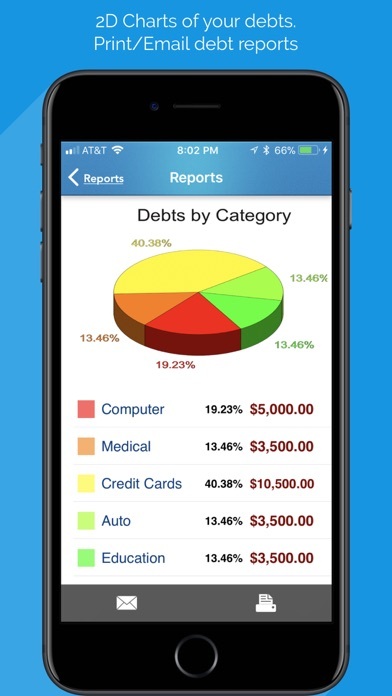 Good for tracking debts but there should be a manual way of inputting the interest charges. Can’t find a way to enter weekly or bi-monthly payments that I have preprogrammed for online automatic payments. The interest is going to be different. 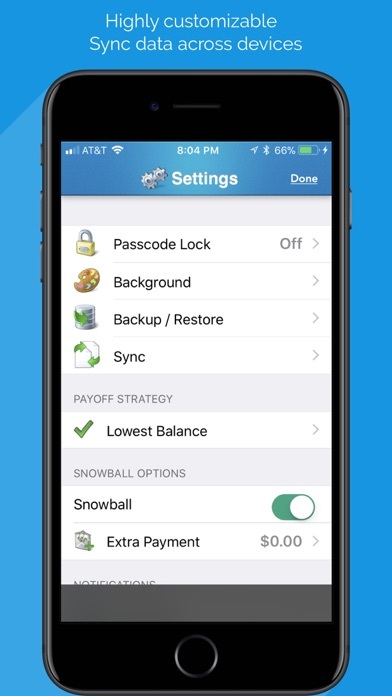 Wish there was an option to look at a monthly payment vs weekly payment option payoff. Will finish entering data and review later. I like to see the bigger picture in detail, is this possible? Really wish the developer would update the app more often. Could use a newer look. And also fix any other performance issues seen in the reviews. 4 Stars...when will you be on Android? 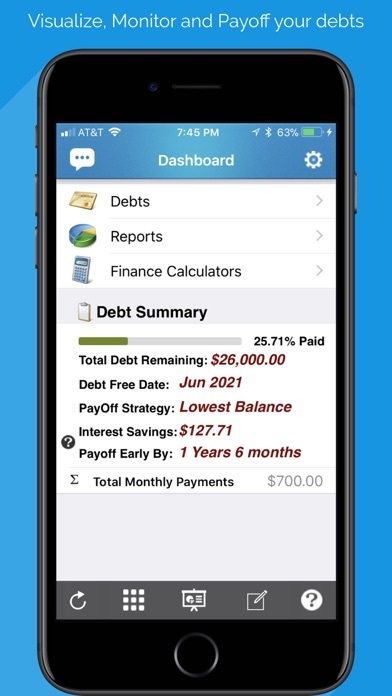 I really like this app, and I’m trying to track several loans at the moment. I seriously wish you were available on Android though, because there is nothing I can find that matches this there. Good app - easy to use and nice to look at. It allows you to put in multiple debts and gives a payoff time for each one. Also has a progress bar so you know how far you’ve come. I would like to see it not require a minimum payment for each debt. I have added my future school tuition payments. 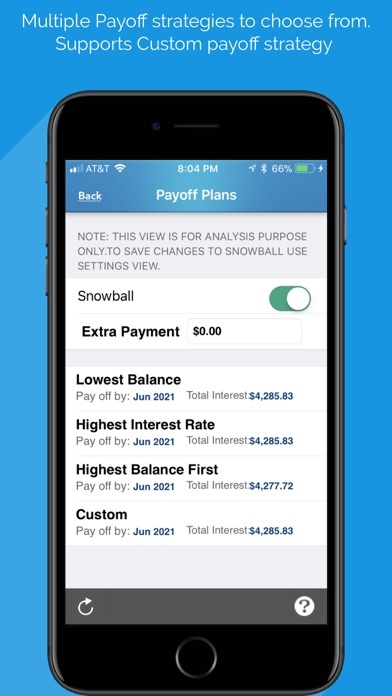 But, because they are in the future, there is no interest rate or monthly payment - but I still want to include it in my debt snowball so I don’t go into debt. 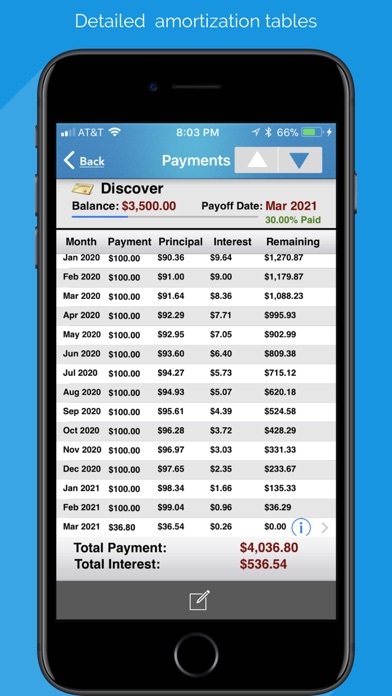 I can’t put $0 for a minimum payment, so I have to make up a number, enter the fake number for a monthly payment, then re-calculate all of the app calculations in my head. I’ve been trying for years now to make a snowball plan but I’ve never been able to get all the math done and actually stick to it. This app has been so much help and has kept me on track to reaching my goals! Just punch in the numbers and the app does the math and I love the figures it gives me, very detailed. If I stick to what I’m doing and keep everything going in the plan, I will save over $35,000. This is great. The only downside of this app is that it looks... old? I really wish they could make it look prettier and more modern. The looks are the only thing keeping me from giving it a 5star review. I put all my credit card info in and was very excited to start whittling away at my debt. The app have me a good idea of what I needed to pay and how long it would take. But then it just stopped working. All the analysis is inaccessible, Everytime I try and click on an icon I get kicked out of the app. I tried to send a report to the creators but didn't get any response. Now I notice the last update they did was 5 months ago and before that was 4 years ago so I'm not holding out much hope. I would not recommend spending the time or the .99 cents on this.